Buu-klubben marketing in social media. 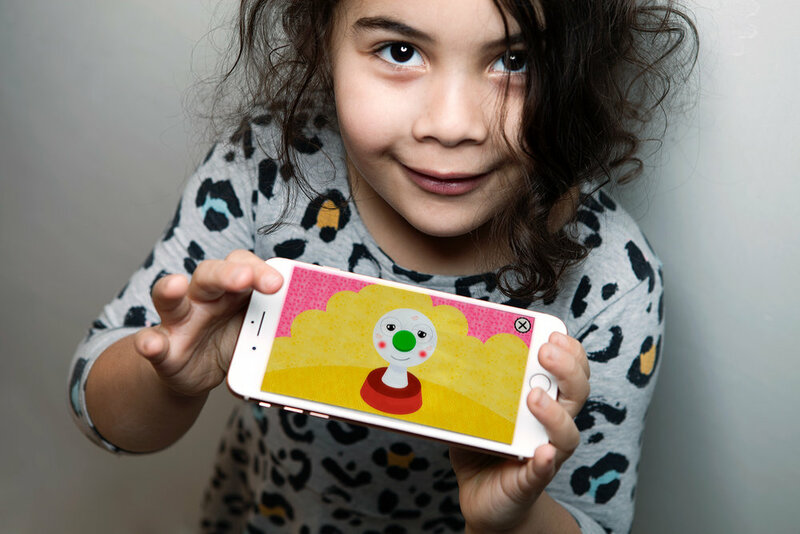 Buu-klubben app is made for children aged 3-7 yr. Demo workshops were made with kids several times during prototyping. Brand character re-design for Unity and AE animations. Here is Tumla from Hittehatt. 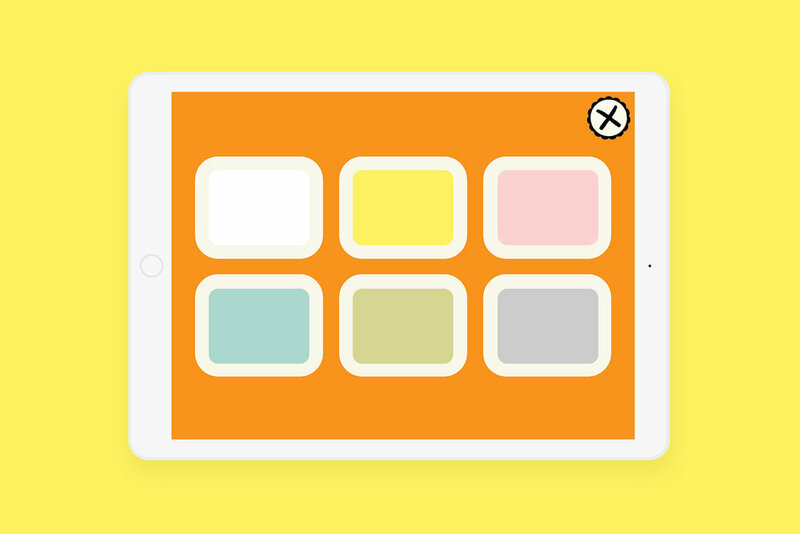 The app contains a main level, that leads to many creative mini games. Here you can start to draw with Kusel. The brand character Buu Stamp has his own Talking Buu game. He can listen and repeat. And fart, among other things. Play with bubbles with Bärtil and Isa Gris or enter Carrot Ninja mini game. Side characters design. The Crazy Spider. Here you can draw. Just pick up your favourite background color. UI for the drawing tool. Under the tools you can choose different brushes, stamps, colors and widths. Kusel loves your drawing. You can save it and draw again. Enter here to the music game with Buu characters. Or drop some socks. Or play with blueberries. Here you can play music with the cool gang of Buu-klubben. Choose your level of memory game. Murk from Hittehat will help you on the way. Character design example – Murk from Hittehatt. And a little Fly. The Choir of Socks close-up. Bärtil’s Writing Game. 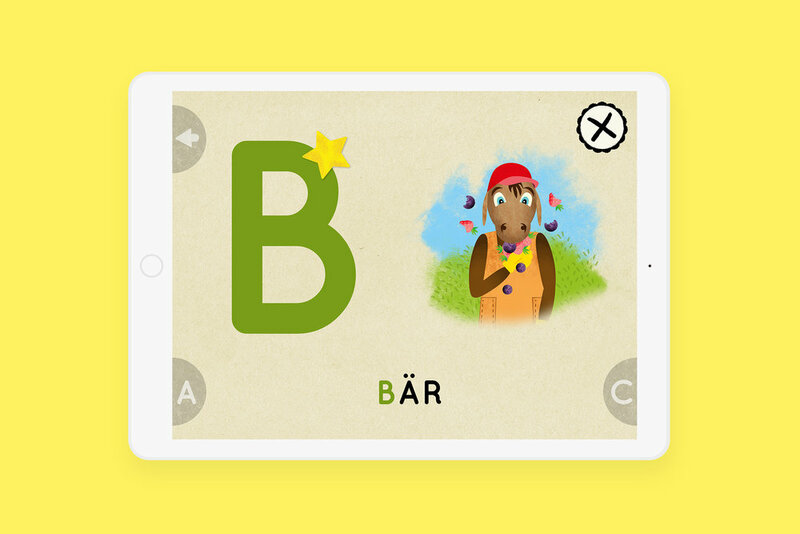 Here you can learn to write all the Swedish letters! Sketch for the UI. Bärtil’s Writing Game. Some help for the start. Sketch for the UI. Bärtil’s Writing Game. Well done! A star to mark that you know it already. Sketch for the UI. Character re-design for the world of Bärtil. Here is Rune Berg. Character re-design for the world of Bärtil. Here is Krak-Fia. Animation scenes for Bärtil’s writing game. The animation and poem is a reward from knowing how to write the letter. I draw 29 animation scenes, one for each letter. 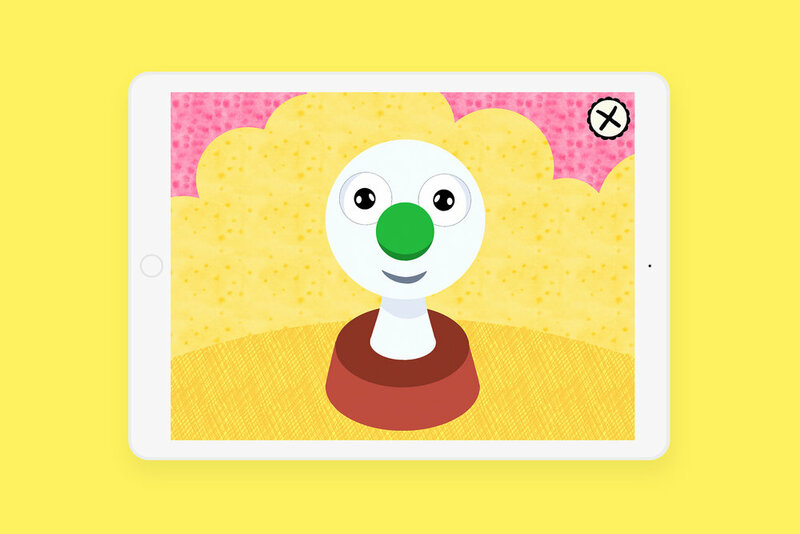 Kapu Toys made the animations. Monica Vikström-Jokela wrote the poems. Here is Krak-Fia trying to beat the airplane. Illustration example for the animation scene in Bärtil’s writing game. Here is Rune Berg writing a poem. Illustration example for the animation scene in Bärtil’s writing game. Here is Isa Gris trying not to fall down. Illustration example for the animation scene in Bärtil’s writing game. Here is Bärtil. Illustration example for the animation scene in Bärtil’s writing game. 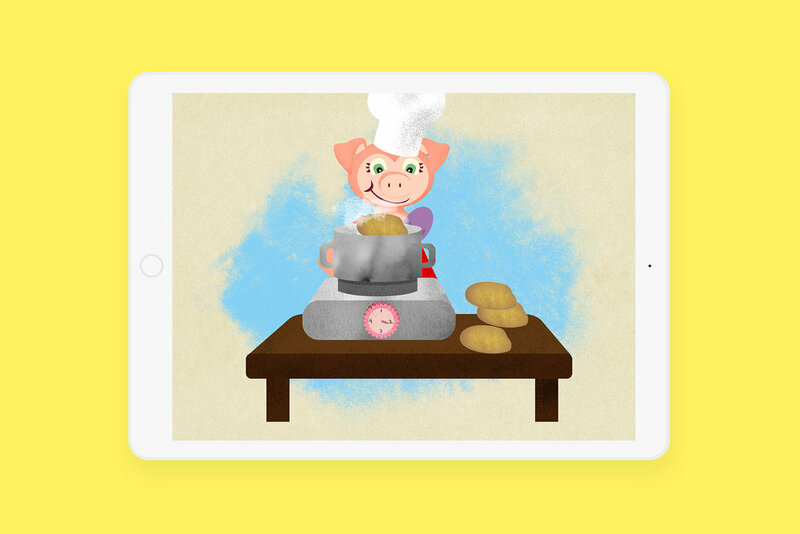 Here is Isa Gris cooking potatoes. Illustration example for the animation scene in Bärtil’s writing game. Here is Älgen having a flu. Isa Gris has her own wrist watch. But a bird lives inside, what’s this? Illustration example for the animation scene in Bärtil’s writing game. This is Holly Gong swinging. Illustration example for the animation scene in Bärtil’s writing game. Here is Rune Berg taking a nap. 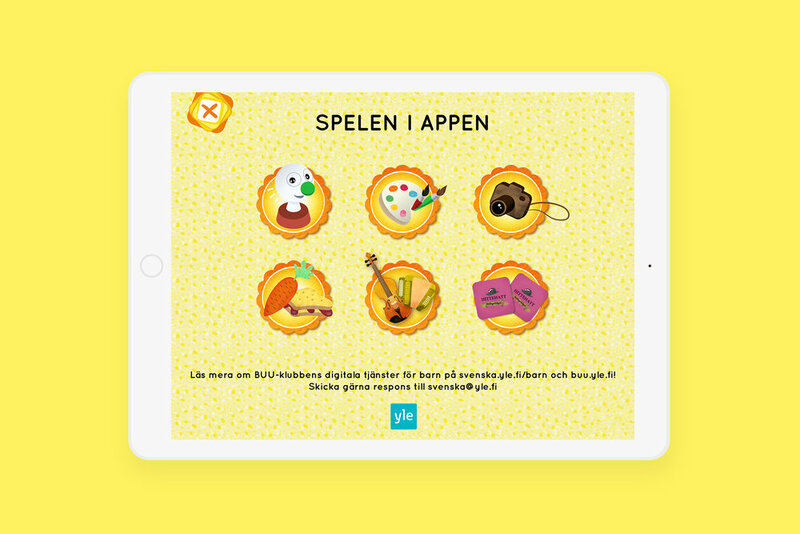 Buu-klubben app is made for phone and tablet. Video is streamed from Yle Areena. The app contains a main playground and several mini games. Shortcut UI for the mini games. There will be a lot more games, this is just a start. 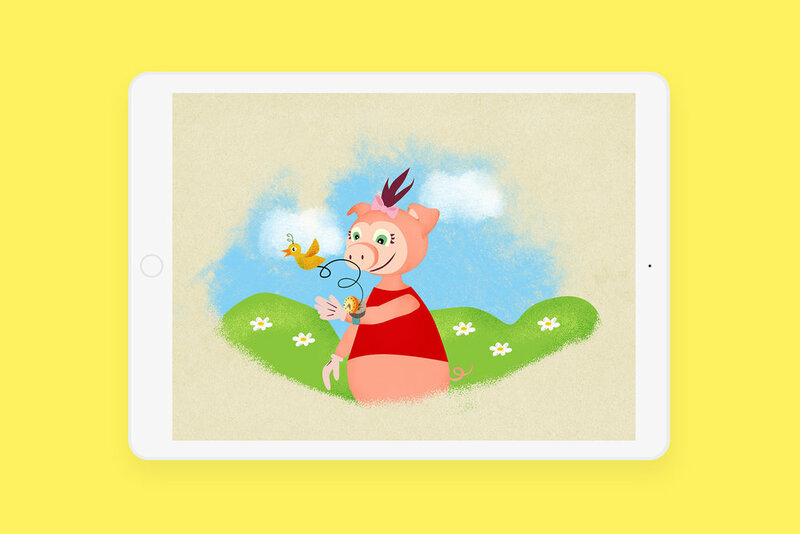 Buu-klubben mobile app for Yle Svenska children from age 3-7 years old. 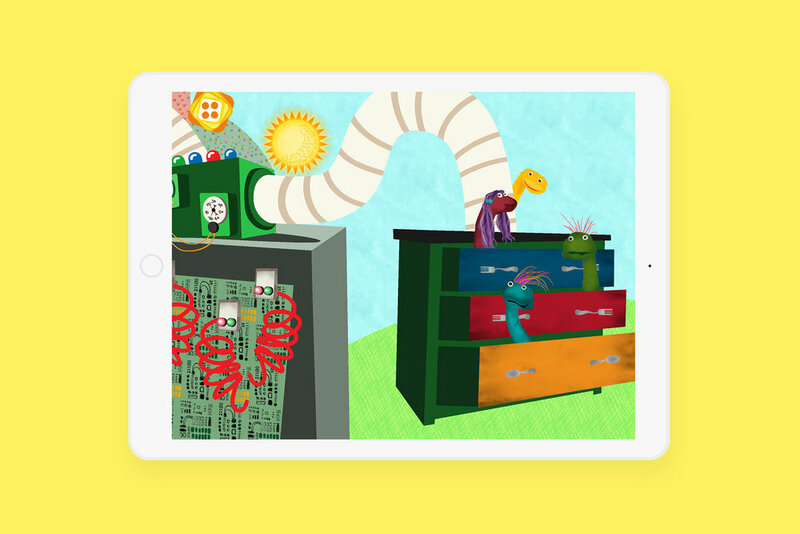 The app has a main playground and several mini games to entertain, learn and support creativity. The app is build in Unity 3D with 2D graphics using 3D space. I compiled all the graphic art directly in Unity for developers and contributed in simple animations. Collaboration with Pikkukakkonen developer/tech/unity team. The Buu app is an environment that continues to grow and the downloadable app will transform during time. My work was to build the visual concept, build the brand characters and deliver everything for the first and second round. Above a sample of Buu promo video without sound. Above a sample of the mini game with Buu band.